If your hair really needs conditioning, may we recommend this miraculous formula? 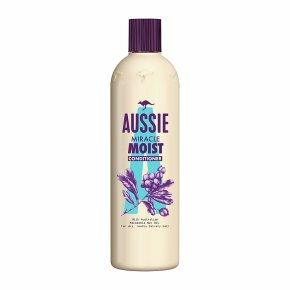 Our Aussie Miracle Moist conditioner, with Australian Macadamia Nut Oil, infuses moisture into dry damaged hair, leaving it soft, smooth and conditioned. For best results, we suggest starting with Aussie Miracle Moist Shampoo before moving swiftly on to this fabulous conditioner.